Dew drops are like love shower! Squirrels are dancing on grass! Feet dancing like Barbie doll! O God, what is this entire miracle? It’s a special day of love season! Let us celebrate and have fun! Whenever I find him in my imagination! I start playing like a toy! Dancing wavering waves of sea water! God has gifted me with a special boon! I even cherish my nights lonely! That helps me everything to decide! Keeps my mind peaceful and calm! I will cherish it as reality!!! 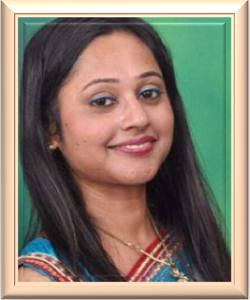 Dr. SONIA GUPTA is an Indian poet, who is a dentist by profession. She has been writing since 2007. She is a well known name in Hindi and English literature with her solo four English and two Hindi poetry published books. Her poems have been published in various anthologies, magazines and newspapers. She has received numerous awards in poetry competitions organized by various literary groups. She is also fond of paintings, singing, designing, knitting and teaching. Her many projects are coming soon.